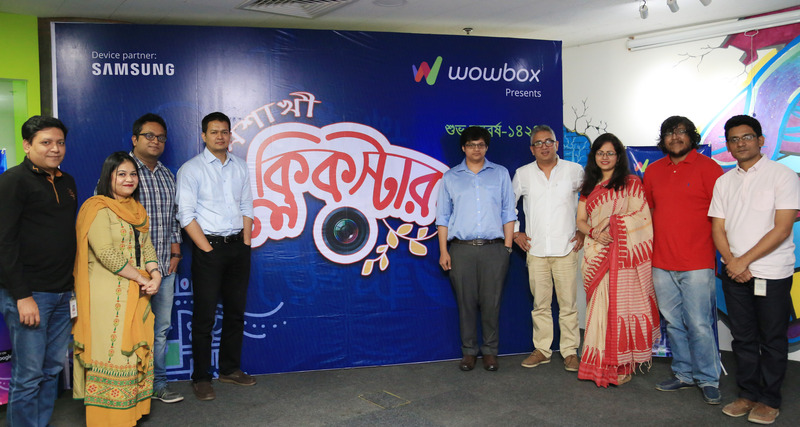 To celebrate the Bengali New Year, WowBox will conduct a photography campaign, titled “Clickstar,” in partnership with Samsung Mobile Bangladesh. The contest will invite users to submit photographs they click, through the WowBox app. The top ten photographers will win amazing Samsung handsets, such as the Samsung Galaxy A7, Galaxy J7 Prime and Galaxy J2. Additionally, throughout the Boishakh season, WowBox will also be providing numerous discounts and offers for users to celebrate the Bengali New Year with some of the top fashion outlets and restaurants in the country. “Both Samsung handsets and Grameenphone’s WowBox are immensely popular among the youth in Bangladesh. Which is why we have decided to partner up and provide the youth of the country yet another reason to enjoy the festive season,’ said Yasir Azman, Grameenphone’s Chief Marketing Officer. Launched in May 2015, WowBox is widely popular among the youth in Bangladesh because of its unique options for highly contemporary content, exciting deals and exclusive offers through a zero-rated, free-to-browse platform. WowBox’s wide user-base of 7.5 million has made the app the most used lifestyle application in Bangladesh, with over 2.8 million monthly active users.